These aren’t your standard blow away flimsy gazebos – our gazebos are heavy duty premium pop-up style and are supplied with all 4 thick side panels for extra privacy. The side panels include windows and a door and can be left off if you desire. The gazebos come with land anchors and ratchet straps to make sure they are strong enough to handle the weather no matter if they are sited on grass or hard standing ground. We also provide premium bulb lights to add a little more magic to your night. They will be attached around the solid frame of the entire gazebo so you can lay back and be surrounded. We always assemble and dissassemble the gazebo for you as part of our service. You can add a gazebo with lights to your hot tub hire on our booking page for only £30. All party packages include a gazebo with lighting. Our hot tubs are perfect for children’s parties that the little ones are sure to love. We provide the following additional extras that will keep kids entertained all day long! We want your party to go off without a hitch so if there’s anything else we can do to help, please let us know. Our party packages are made to be tweaked, so feel free to ask about our extras. 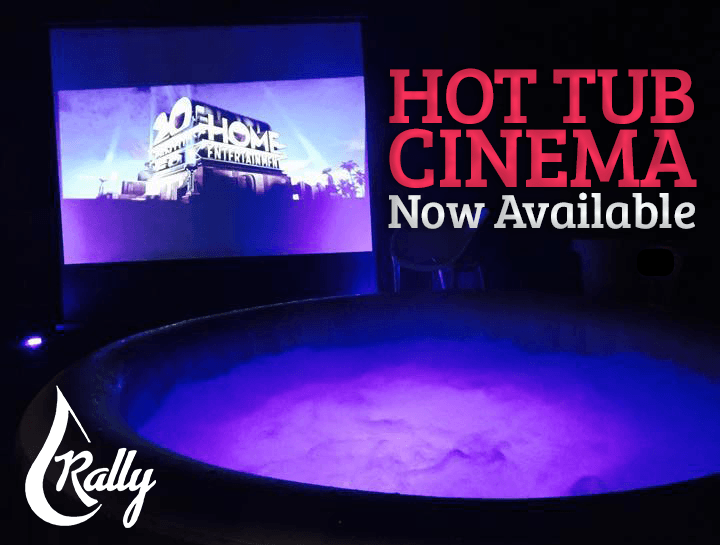 Add a children party package to your hot tub hire for only £79. It is our wish and your command to provide your unforgettable moments with the luxury they deserve. If there’s anything else we can help with, just let us know. Add your Luxury Party Pack for only £99. 13… 14… 15… 16…. Teenagers can be notoriously difficult to cater for! So, we’ve tried to stick to the basics. Decorations to mark the occasion, music to get the party started, and everyone’s favourite party game. Also, balloons are essential for any birthday party! 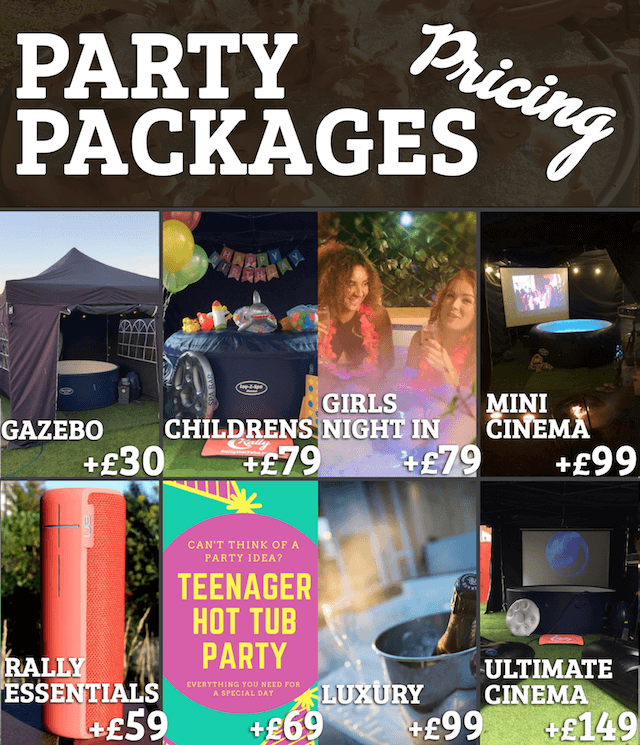 Add your teenage birthday package to your hot tub hire for only £69. 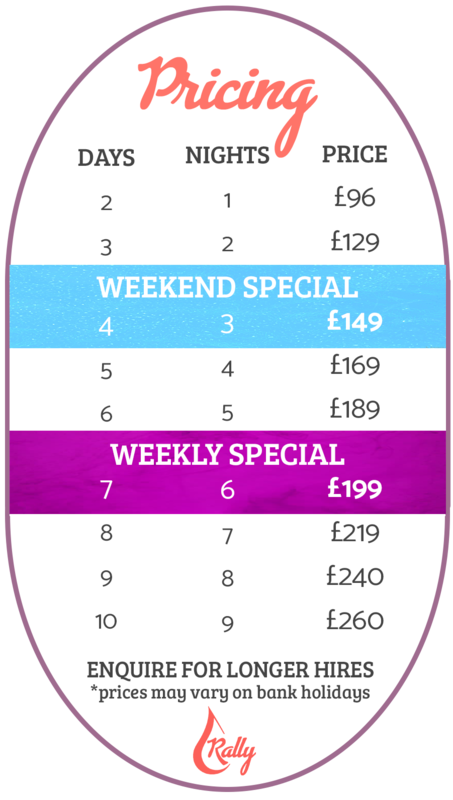 For only £59 you will have everything you need to make your time an unforgettable one. We will do our absolute best to make sure that your romantic twilight is perfectly planned and that there are no bits left out so get your Romantic Twilight Package here for only £79. We can make your girls’ night in unforgettable and we will make sure you have everything you can possibly ask for during your birthday, baby shower or hen do by providing our package here for only £79.